Mark McNulty; Steven Beattie, Conor McCarthy, Ryan Delaney, Kevin O'Connor; Conor McCormack, Garry Buckley; Karl Sheppard (Achille Campion 55), Kieran Sadlier (Shane Griffin 73), Stephen Dooley (Greg Bolger 85); Sean Maguire. 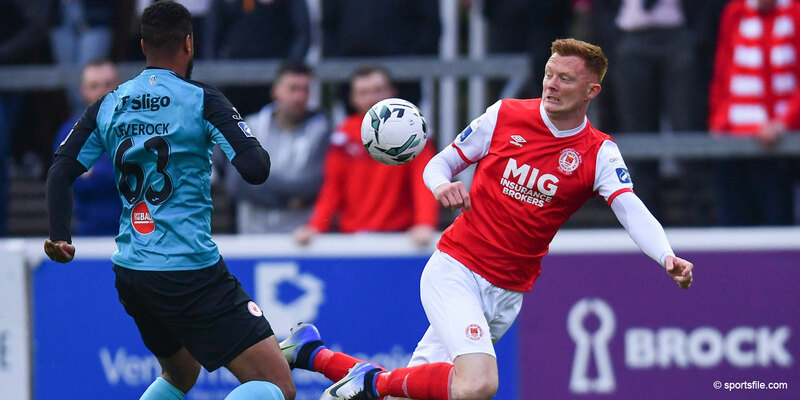 Cork City stretched their lead at the top of the SSE Airtricity League to 12 points as they narrowly defeated St Patricks Athletic at Turners Cross on Sunday afternoon. 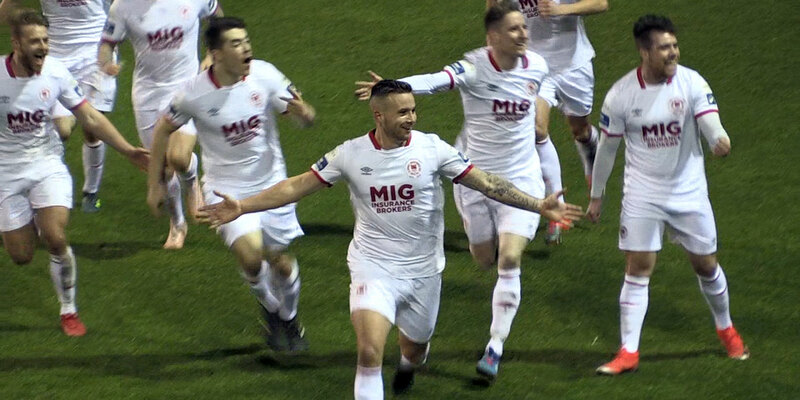 A solitary Sean Maguire penalty deep into injury time in the first half was enough to earn City the three points to extend their unbeaten run in all competitions to 25 at the expense of St Pats, who had Owen Garvan dismissed at half time. City made three changes to the side that comprehensively defeated Levadia Tallinn last Thursday night to secure progressing to the second round of the Europa League qualifiers. Steven Beattie and Conor McCarthy came into the defence in the place of Greg Bolger and Jimmy Keohane whilst Kiernan Sadlier was handed his debut since signing from Sligo Rovers as he deputise for Gearoid Morrissey. The home side started slowly following their European heroics and they almost fell behind after just thirty seconds but Mark McNulty produced an excellent save to deny Graham Kelly as he raced clear on goal. The visitors also made three changes to the side that drew with Galway United last time out with Owen Garvan, Killian Brennan and debutant Jordi Balk coming in for Gavin Peers, Rory Feely and Patrick Cregg. 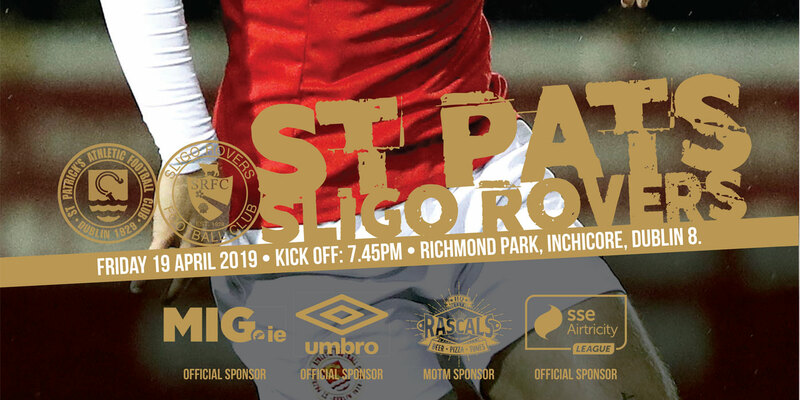 Pats continued to look the sharper of the two sides in the opening exchanges as Kelly again saw his effort saved this time from long range before Stephen Dooley failed to find the net with City's first strike. The game lacked urgency in what was a rather tepid first half but Karl Sheppard almost brought the game to life with a stunning opener after 22 minutes. Kevin O'Connor's cross field pass released Sheppard down the right and after a neat first touch, the striker crashed his shot against the inside of the far left post. City soon gained control of proceedings as Sean Maguire twice forced Pats keeper Conor O'Malley into making a save. But on the stroke of half time, City were handed a glorious opportunity to finally end the stalemate as they were awarded a penalty when the recently introduced Billy Dennehy fouled Steven Beattie in the box. Maguire stepped up and sent the goalkeeper the wrong way for his 19th league goal of the season to make it 37 goals in 49 league games in total. Pat's task became even more difficult as they were reduced to ten men during the half time break as Owen Garvan was dismissed following an incident with Steven Beattie in the tunnel. The Dublin club never looked like scoring in the second half following that set back and they were fortunate not to fall two behind after 69 minutes. The ball broke kindly in the box for Maguire but the Preston North End bound forward couldn't add to his tally as his clever lob struck the inside of the far post.